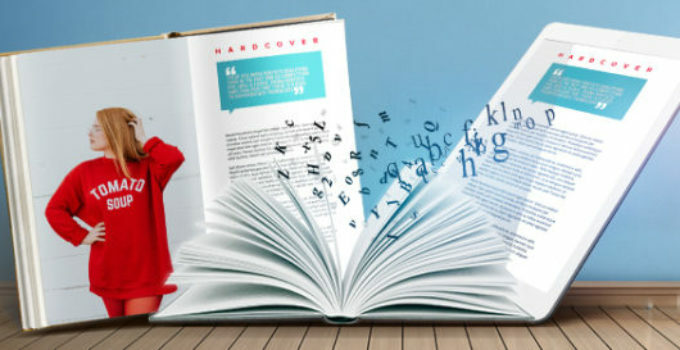 An eBook formatting is actually a collection of HTML files, a CSS “stylesheet” telling everything how it should look, other folders containing the images or fonts, and some meta-data with information about the author, publisher or title. It is really frustrating to get to know deeply everything about it. But with the help of the following five tips, you can pretty save a lot of hair-pulling and be free from stress. #1: Ebooks are supposed to be responsive and fluid. Ebook can be viewed on different devices. It also means that you can’t set up everything exactly. Readers need the ability to enlarge the text, change the font, widen the line-height, in short, your ebook should be flexible and responsive at the same time. Viewing texts and images on a small screen is different from a big screen. Rather than add a lot of styles, you need to remove as much style as possible and make everything very simple. It is much easier to make an ebook by setting up your Word file the right way. Use line-indents, not tabs. Use the “heading1” style for all chapter titles, and check that a TOC is being made automatically. Set a new paragraph style for non-indents in the first chapter. There’s an in-depth guide to this here: www.diybookformats.com/ebooks. You can use a simple online ebook conversion tool when you are done and upload it straight to Kindle or run it through Calibre, and everything should look just as you set it up in Word. I suggest you use Scrivener as is it easier than any other epub tools. If you’re already using Scrivener, you’ll be able to export an epub file but won’t be able to make changes easily – you’ll have the same problem with Calibre or automatic converters. Use Sigil to make changes or when you need to fix typos. However, Sigil can be complex to learn, but if you already have an epub file and are just making fixes, it shouldn’t be overwhelming. You can also use Sigil to add fonts or images or edit the style sheet (for example if you want the indents to be a little larger, or the subtitles to have more space below them). If you have some trouble using Sigil, try Jutoh which is a little less of a learning curve than Sigil. Jutoh is a paid software but most of the options are pretty easy to find, including embedding fonts. But some of these require monthly plans, or that you use them for distribution. Another option is a WordPress plugin. If you have WordPress blog, then you can just put your chapters into it and export them from there. But if you really have some trouble formatting your ebook, let someone else do it. Ebook formatting often costs around $100, but you can get it done for $15 or so on Fiverr.com (although it’s still worth learning Sigil for when you find those inevitable typos).